Cool tools 3 is a collection of website enhancing tools. 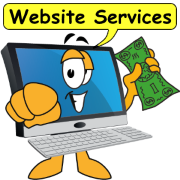 Includes action oriented functions that add pizzazz to your website. 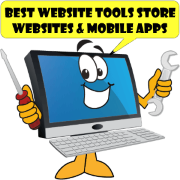 Cool Tools 3 for your website can add pizzazz, and enhance your message. Add content with layered link boxes like the "Tool Box," on the right. When you scroll over the page numbers the contents of those pages rollover revealing the cool tools on each page. This is one way of letting your visitors preview other pages before they go to them. 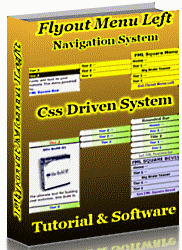 Easy Blogs software allows you to write and publish very own web log or "blog". Simple enough for the non-technical, and yet with enough extra features to please the demanding too. 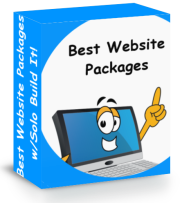 Use one of the many included website templates or build your own. Templates are designed to be sharable with other Easy Blogs users. Store your Blog on your PC. Publish anywhere! Put a dedicated news blog on your site and watch your search engine traffic soar. 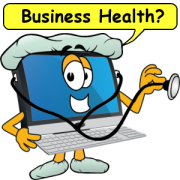 The powerful CMS (content management system) does all the hard work. All you have to do is create quality content and post to your favorite blog feeds. Easy Blogs software resides on your computer allowing you to have control over the content management system that other services can't provide. 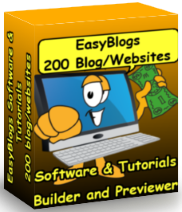 With Easy Blogs you can create and publish an unlimited number of blogs right in one easy to use package On Your home computer. No need to set up any accounts this is dedicated software. No one will be spamming your email or selling your address, because you don't have to sign up for anything. You won't have to pay any recurring fees or monthly dues. Learn what Easy Blogs can do in the"SBI Rss Tutorials." You won't believe what you can do with your own dedicated blog. Serious advantages come with a dedicated blog. You can upload to your own domain, as opposed to subscribing someone else's sub-domain. Get all your blog pages listed in the search engines not just your home page. Put a content rich Rss/blog on your site and watch your search engine rankings soar. 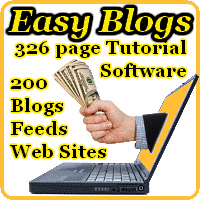 Get this 260 page tutorial that explains everything Easy Blogs can do. ; SBI Rss Tutorials. 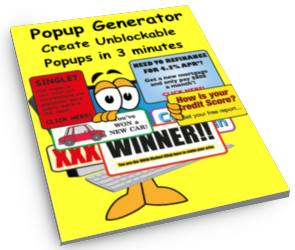 Popup Generator allows you to create popup windows in minutes. 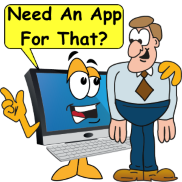 It is a simple software program, which literally does all the work for you. Pop-Gen is designed to allow you to modify the code for a wide variety of popups without having to figure it all out yourself. It's that Easy! Key benefits of popup advertising are adding valuable content to your page including larger images, directions, how-to instructions and more. Pop-ups can easily increase your bottom line by thousands of dollars when applied correctly. Show large pictures in a new window without sacrificing a lot of virtual real estate. You will receive website template. I have included all the graphics and made it so simple, you just have to change the order link so you can start selling immediately. The reason for this is simple - it gets attention! 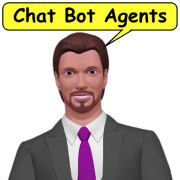 The fastest way to increase your response is to attract more attention to what you want the visitor to do..
Now you can protect your website by replacing the right mouse button menu with your own offer. Imagine having control over who gets to see your source code. Stop others from stealing your images and prevent copyright theft. Give these would be hackers what they deserve...your own custom popup window. Tell those thieves where to go...your special offer. Turn those snipers into paying customers with 'Stop Right Click Theft' software. "Stop Right Click Theft" - Script that is integrated with this template. Prevent thiefs from helping themselves to your images and content. 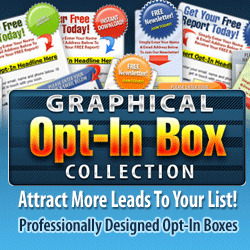 Disable the right click copiers' Show them your own professional popup advertisement instead.